Though 2015's Star Wars Battlefront wasn't quite the shooter we were looking for, it appears that Star Wars Battlefront 2 will indeed address many of our issues with the previous entry if a recently leaked trailer is anything to go by. The trailer has been taken down since it was first leaked, however it will be officially revealed on April 15 when you'll be able to watch it over and over again. The trailer gives us our first glimpse at the game's new single-player campaign, a feature that was sorely lacking from the series' prior instalment. It deals with "an untold soldier's story", in this case, a female soldier in the Empire. "I still remember my last orders," says the soldier in her ominous voiceover, revealing that they were given on "the day the real war began." Cut to a montage of incredible Star Wars battles across a number of familiar environments. 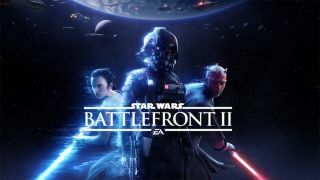 Along with this glimpse at the game's story campaign, the trailer also reveals that its multiplayer component will span "across all eras", with characters from the prequels and classic trilogy making an appearance, such as Yoda and Darth Maul, alongside new additions Kylo Ren and Rey from the current trilogy. As a final cherry on top of the digital Star Wars cake, the end of the trailer reveals that if you preorder the game, you'll receive Star Wars: The Last Jedi Heroes content, which we assume will be tied to the release of Episode 8 this December.